In late 2007, Dominique Browning, the editor-in-chief of Conde Nast's House & Garden, was informed that the magazine had folded-and she was out of a job. Suddenly divested of the income and sense of purpose that had driven her for most of her adult life, Browning panicked. But freed of the incessant pressure to multi-task and perform, she unexpectedly discovered a more meaningful way to live. Browning's witty and thoughtful memoir has already touched a chord with reviewers and readers alike. 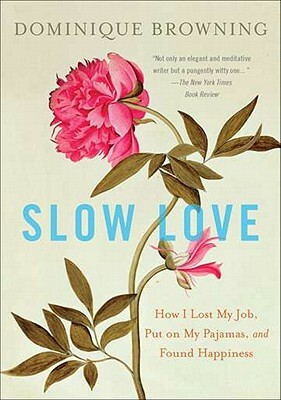 While untold millions are feeling the stress of modern life, Slow Love eloquently reminds us to appreciate what we have-a timely message that we all need to hear. Dominique Browning is a writer, editor, publishing consultant, and the author of two previous nonfiction books. A classically trained pianist and the mother of two sons, she lives in New York and Rhode Island.